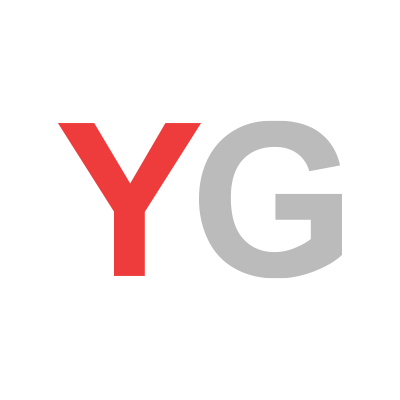 July 25, 2017, 2:38 p.m.
Half of Brits aren’t aware that dementia is a direct cause of death, new research from YouGov in partnership with Re:Cognition Health shows. 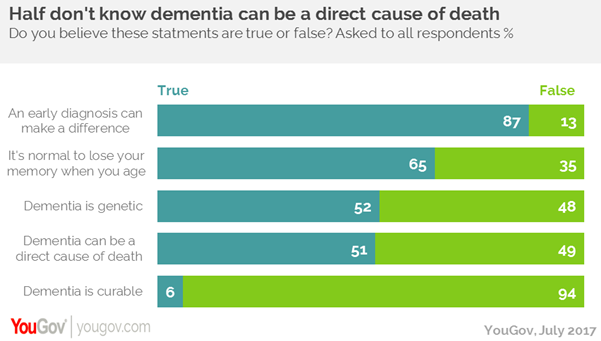 The data shows that people are more concerned about developing dementia in the future than they are cancer, despite half (49%) not being aware that it can result in death. Almost four in ten (38%) agree that dementia is their biggest fear, compared to 26% who fear cancer, and 6% who say heart disease. Knowledge and understanding of dementia has risen, however people are still unsure of the facts. Only 51% understand that a person can die directly as a result of the disorder, despite it being the leading cause of death in England and Wales. One in ten (11%) aren’t sure what the typical symptoms are, although many do tend to associate it with memory loss. Over eight in ten (81%) Brits think that difficulty remembering events is a primary symptom. Other assumed symptoms of dementia are unexpected and uncharacteristic anger (62%), not being able to recognise yourself in the mirror (48%) and behaving as your younger self (33%). Almost seven in ten (68%) aren’t aware that Alzheimer’s disease and other causes of dementia can make a difference to the future health of the individual, although 94% understand that it’s not curable. However, almost nine in ten (87%) do agree that an early diagnosis of dementia can make a difference to a person’s condition and future.